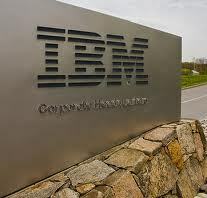 In the first quarter, IBM reported that its profit fell and its revenue declined for the eighth consecutive quarter. Revenue for the quarter was $22.5 billion, below the average estimate of Wall Street analysts of $22.9 billion. This was a significant drop from the $23.4 billion in revenue reported in the year-earlier quarter. IBM’s net income dropped 21 percent compared with a year earlier, falling from $3 billion to $2.4 billion. Operating earnings per share fell 15 percent, to $2.54 a share, from $3.00 a share last year. The drop was mainly attributed to the falloff in its hardware business. Sales slid 23 percent in the company’s hardware business. The sales of the current mainframe models are trailing off and IBM is not expected to have a new mainframe computer offering until next year. IBM’s quarterly profit was also hurt by an $870 million charge for the severance costs for laid off workers. IBM employs more than 400,000 people worldwide and regularly sheds employees in markets and product areas that are declining while adding employees in profitable divisions. IBM has turned its focus to the future and has been following a strategy to shed lower-profit products and invest in higher-margin fields. The company says that its business model is geared to deliver profit growth, instead of focusing on sales growth. The company has sold off its personal computer division and its storage disk-drive division in recent years. The company also agreed to sell off its unit that makes industry-standard servers in January to Lenovo of China for $2.3 billion. In their place, the company has placed its money on sophisticated data-analysis software, on businesses to deliver computing remotely over the Internet cloud, and on its Watson artificial-intelligence technology. However, investors and analysts are wondering if the new offerings will be able to grow fast enough to offset the erosion of IBM’s traditional hardware and software businesses. Virginia M. Rometty, IBM’s chief executive, said in a statement that moves taken to “transform parts of the business” would begin to show results later in the year.